After 10 hours on the Goldenpass train, the day before, it was time for a hike. Charlie’s been talking about an area, he’s seen running, called Monteret. Just up, down, up again and over the mountain, are two large buildings which include group houses, owned by a couple of Presbyterian churches. They serve gatherings of children, adults, weddings, etc. 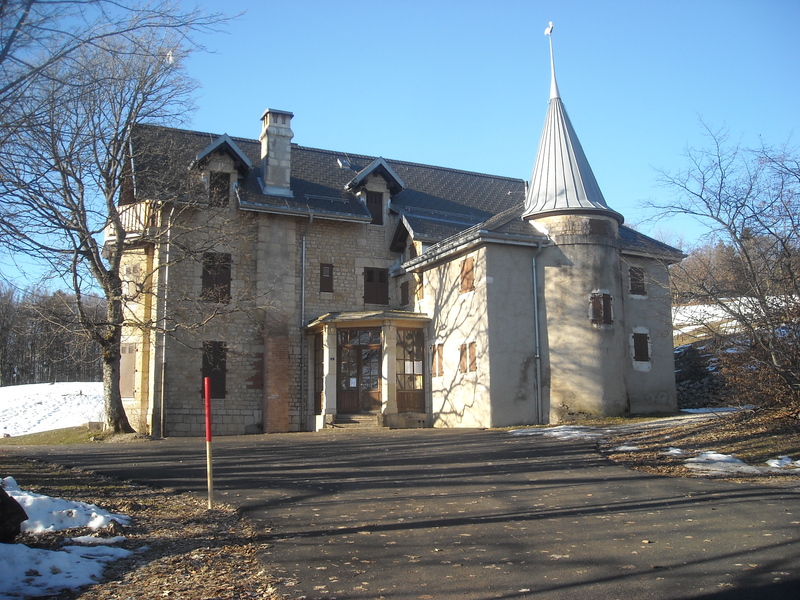 One is a modern building which sleeps 50 people, the other is a castle-like house which was the original group home. Our new friend, Joy, told us about the chamois gathering there to munch on the grass, so I was hoping to spot one or two along the way. Reaching the field in front of the houses, sure enough, I spotted two at the bottom of the hill. They took notice of me but did not run off and continued eating. The sun was behind them so photos were impossible. Only thing to do was head down the hill to the side of them, far enough away as not to scare them, but close enough to get a couple of pictures. This plan worked and they weren’t too nervous, but kept an eye on me while they munched the grass below. After taking advantage of the photo opp, I decided it was time to head back up the hill. To my shock, upon turning around, there were a dozen more chamois behind me…they had silently come out of nowhere and my presence didn’t seem to bother their search for food. It was a surreal moment, standing there watching these beautiful animals forage in the ground. They are also called goat-deer and goat-antelope as they resemble both. 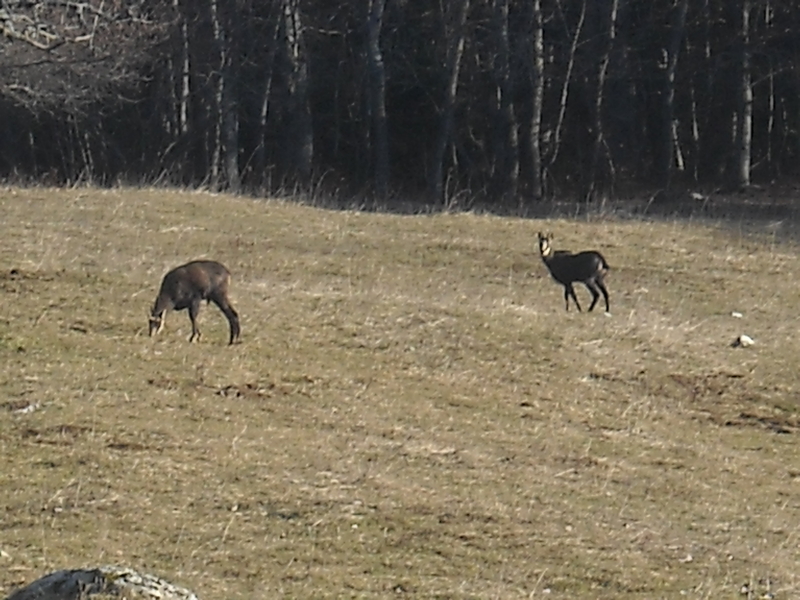 The two I saw further out were much bigger than this group and had large horns…must’ve been the males off on their own. 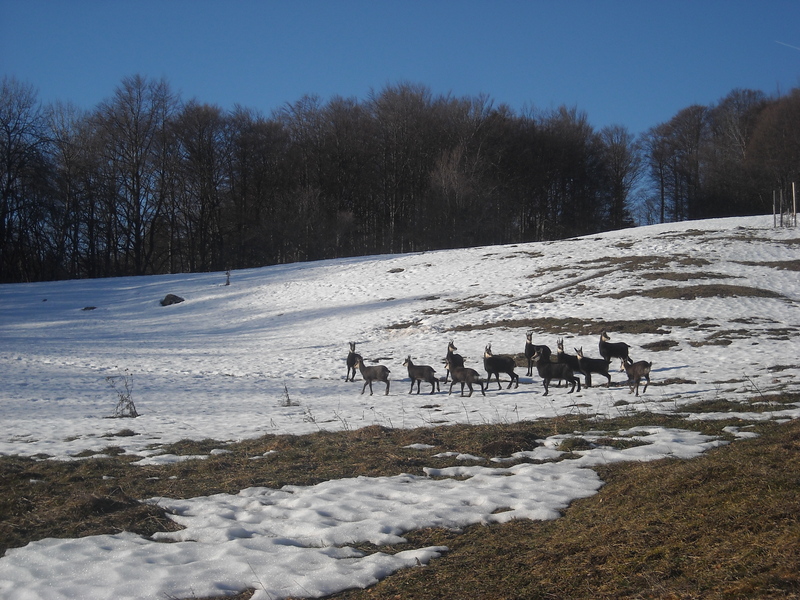 I could have stood there all day but then Charlie came running around the bend and, when spotted by the chamois, they started to move on in a pack, walking across the grass onto a large patch of snow. 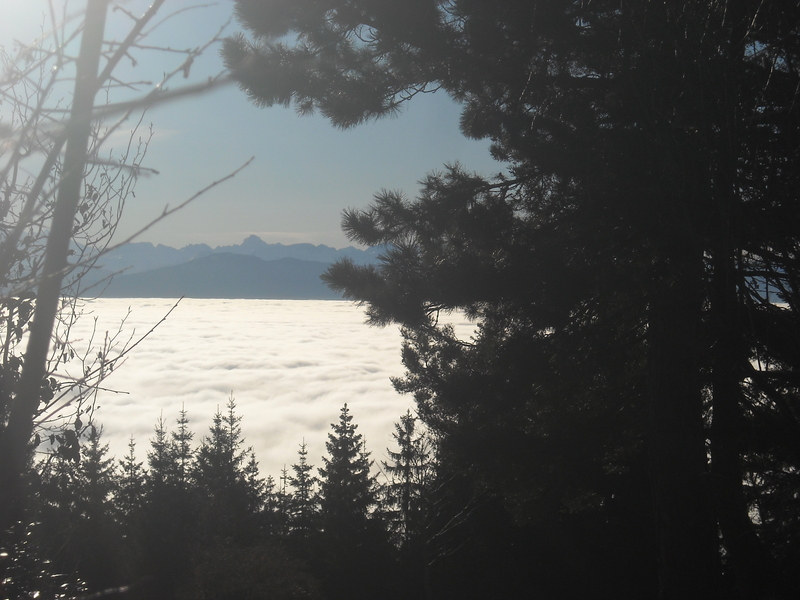 This is a sight and experience I hope to remember forever…the cold, crisp air combined with the view of Mont Blanc, a thick, white layer of cloud hanging over Lake Geneva, and a herd of chamois grazing right in front of me. Life is good! 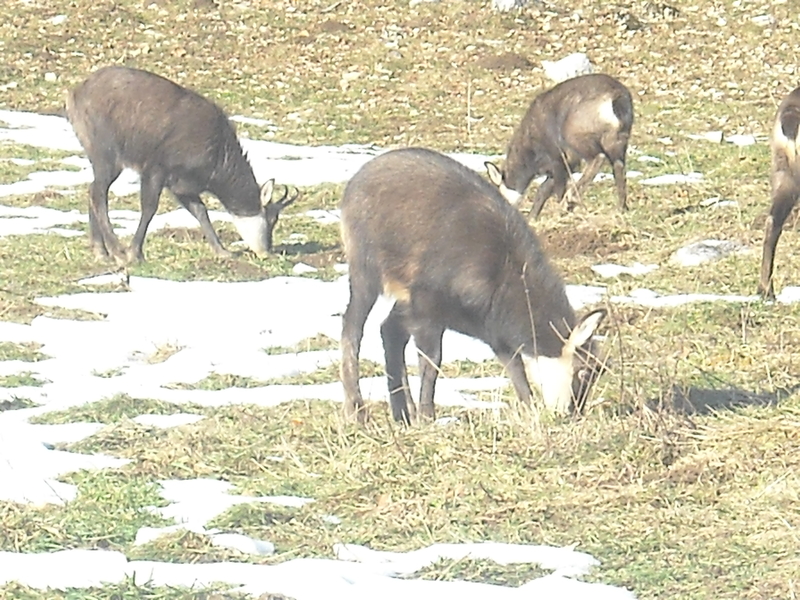 This entry was posted in Lifestyles, Travel and tagged chamois, Chevrerie, Geneva, Goldenpass, Monteret, Nyon, Switzerland. Bookmark the permalink.